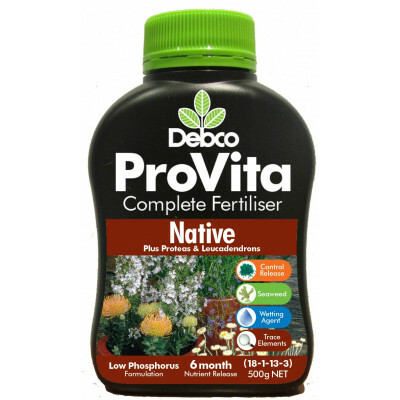 Specially formulated for phosphorus-sensitive plants, Debco Pro Vita Native Gardens offers safe and reliable feeding with just two applications per year. 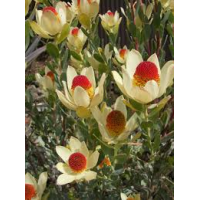 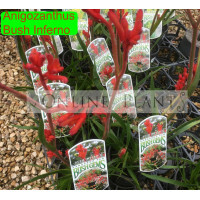 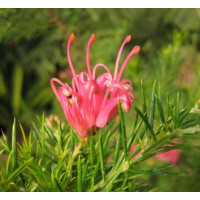 Use on all phosphorus-sensitive plants including South African proteas, leucadendrons, leucospermums and serrurias. 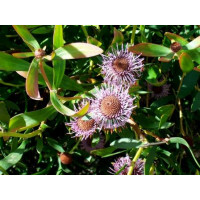 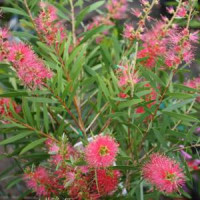 Use to fertilise popular Australian native plants that are not phosphorus-sensitive, such as eucalypts (gums), lillypillies, callistemons and melaleucas. 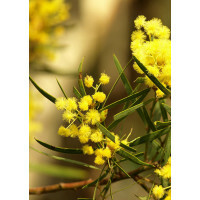 complete nutrition package with a NPK of 17.9 : 0.8 : 7.3 and contains additional nutrients including . 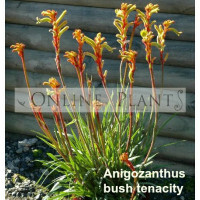 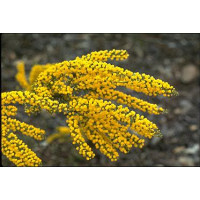 A delightful small shrub growing to 1.5mt high and wide. 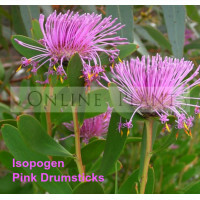 Pink, drumstick like flowers are prominent ..
A majestic, spreading gum with decidous bark in summer. 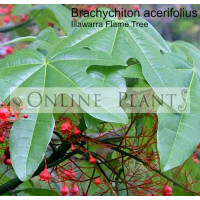 Reaches 30mt at maturity. 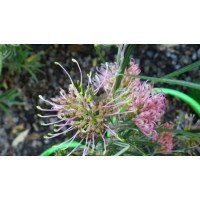 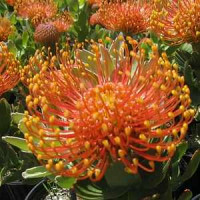 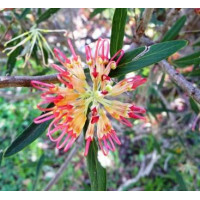 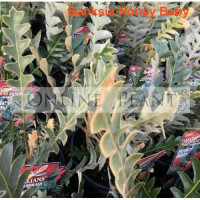 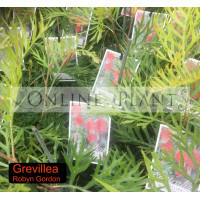 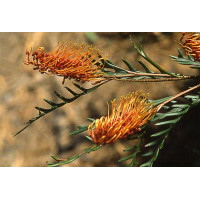 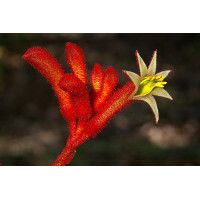 Thrives in most so..
Grevillea robyn gordon is currently available from onlineplants. 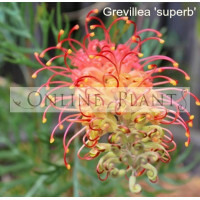 Popular native shrub that is a must..
Grevillea superb is currently available from onlineplants. 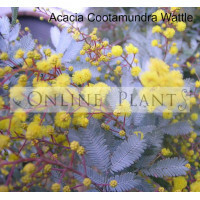 A Superb small shrub with attrac..
An attractive native shrub which grows 2-4mt high and 2-5mt wide. 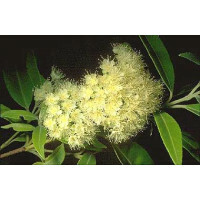 The upright flowers are set amongs..
A large, native shrub growing to 5mt high and 2.5mt wide. 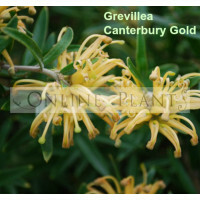 Showy yellow flowers in warmer months and ..
Grevillea lanigera is currently available from online plants. 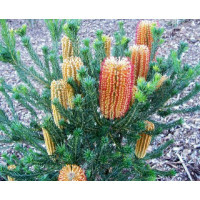 A delightful native prostrate plant wi..
A hybrid of Banksia spiulosa and Banksia ericifolia. 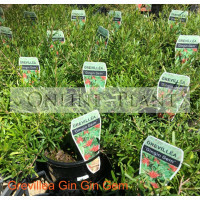 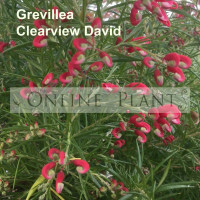 It is distinctive for its large orange flower s..
Atriplex Cineraria, also known as coast saltbush, grey saltbush or truganini, is found abundantly in..
Grevillea red wings is currently available from onlineplants. 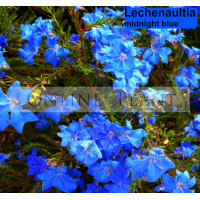 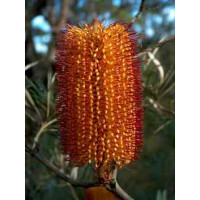 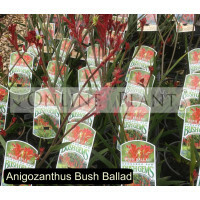 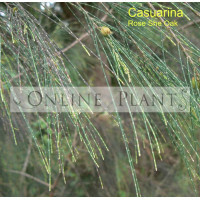 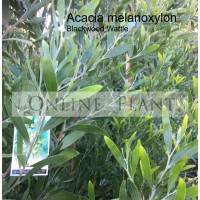 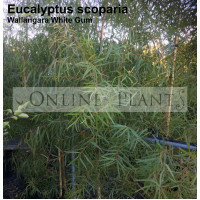 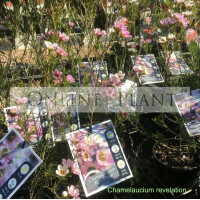 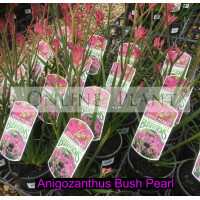 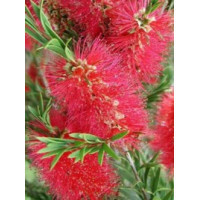 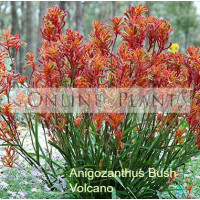 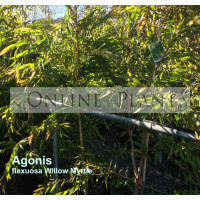 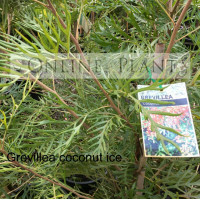 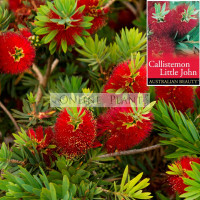 Low growing Australian native plant wi..
Fast growing tall shade, timber and shelter suitable for planting in most areas. 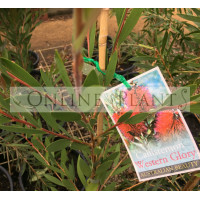 Adapts to low..
A beautiful ornamental Australian tree growing to 20mt with weeping grey green foliage and dark furr..
A dwarf shrub growing to 30cm with bright blue flowers in spring. 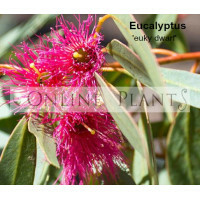 Best growen in well drained soil a..
A slender dwarf tree growing to 6mt tall. 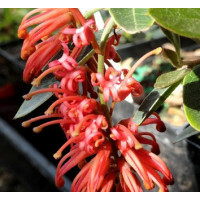 Has a mass of deep pink, red flowers from winter to summer..
Grevillea scarlet sprite is currently available from onlineplants. 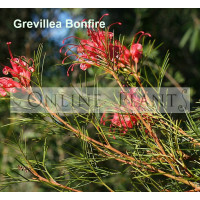 A prickly grevillea with narrow, ..
A beautiful new release Australian native with lush green foliage. 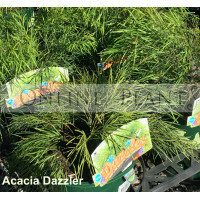 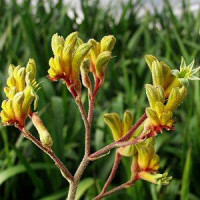 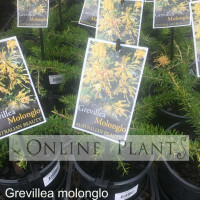 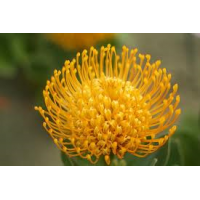 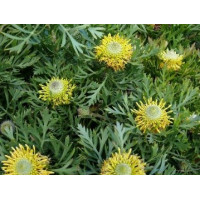 Producing golden yellow and maroo..
Grevillea splendour is currently available from onlineplants. 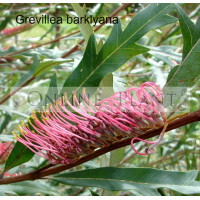 This Grevillea often produces masses o..
Grevillea rosmarinifolia is currently available from onlineplants. 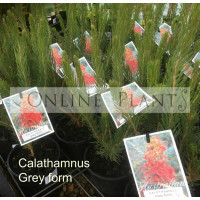 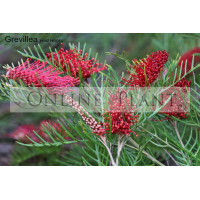 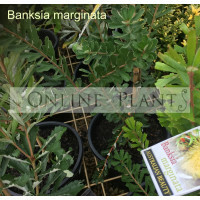 Grevillea rosmarinifolia is a wel..
Grevillea lanigera is currently available from onlineplants. 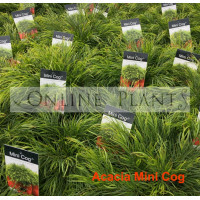 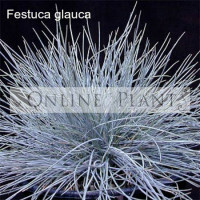 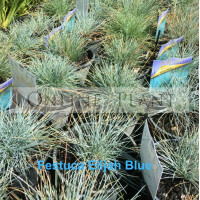 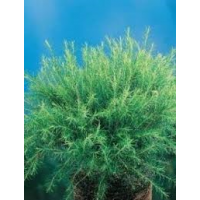 Height 30cm x Width 1m A compact grou..
A native grass that forms clumps of narrow blue/grey foliage, lightening with age. 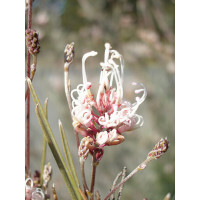 Creamy flower spi..
Grevillea pick of the crop is currently available from online plants. 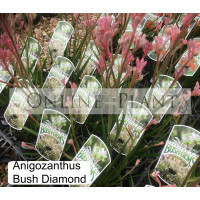 Ornamental ..
One of our favourite groundcover varieties. 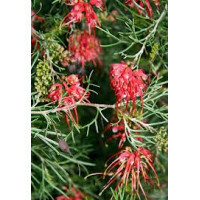 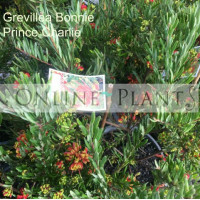 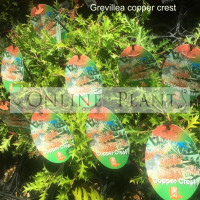 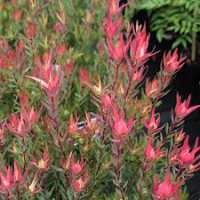 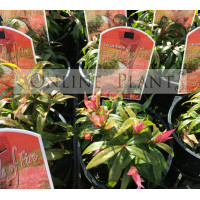 Online plants use Grevillea gaudi chaudi extensive..
Grevillea Royal Mantle is a hardy ground cover with beautiful coppery red foliage. 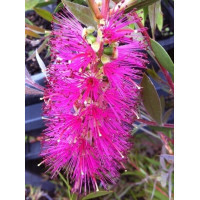 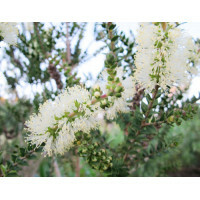 Our display garde..
Melaleuca laterita has orange/red bottlebrush type flowers seen mainly during summer. 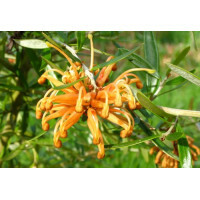 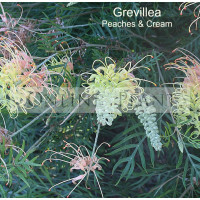 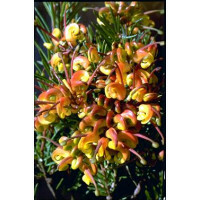 The flowers gr..
Grevillea fruit box is currently available from online plants. 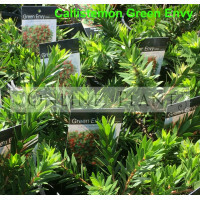 A small evergreen shrub. 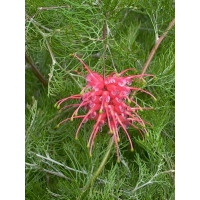 Produces bun..
Grevillea longistyla Belle is a large shrub which is native to south-east Queensland. 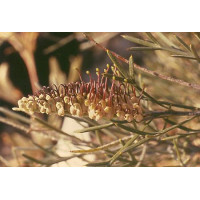 It has orange ..
Grevillea poorinda blondie is currently available from onlineplants. 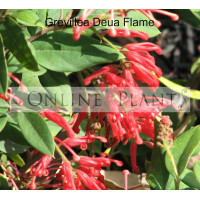 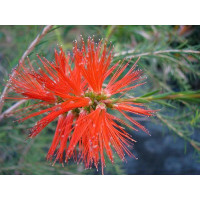 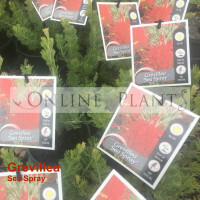 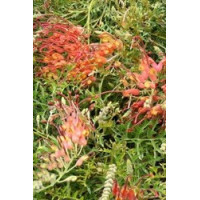 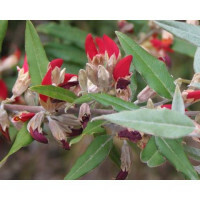 It is a large shrub which can r..
Grevillea sea spray is currently available from onlineplants. 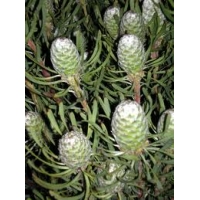 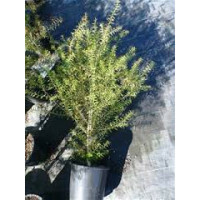 Has interesting soft grey foliage and ..
Isopogon Cuneatus is a large, erect shrub. 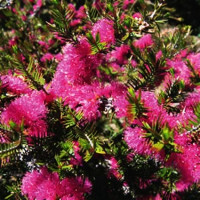 The leaves are bright green and up to ten centimetres lon..
An erect shrub growing to 3 m high by 1.5 m in diameter with terete (round in section), much divided..
Fast growing rounded shrub to about 2m high and 3m wide with dark green leaves along the mostly upri..
A hardy evergreen shrub producing large, luscious, silvery pink flowers in autumn and winter, and ar.. 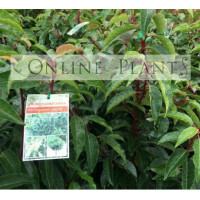 Tall shrub to 6 m with pendulous branches. 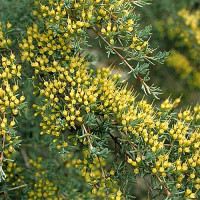 Has triangular-shaped, dull green phyllodes and yellow fl..
An easy-to-grow Western Australian native medium shrub of the tea tree family. 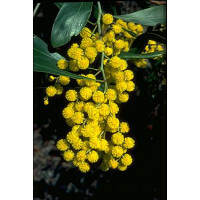 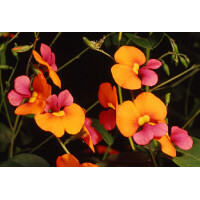 It has a neat a..
A low growing shrub to 60cm, with honey-colored flowers in autumn to early spring. 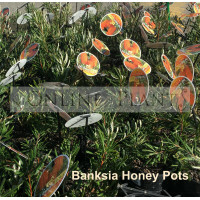 'Honeypots' ..
A medium sized tree with rough, fissured, grey bark and dull green leaves. 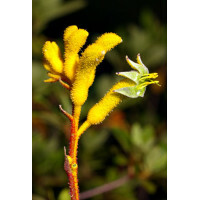 Produces a mass of long, ..
A small shrub with dull green leaves. 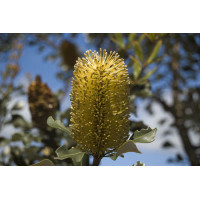 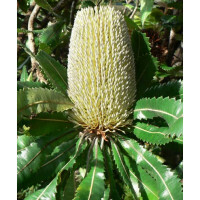 Produces a mass of long, pale yellow flower spikes f..
Banksia petiolaris is a prostrate shrub that ahs spreading horizontal stems. 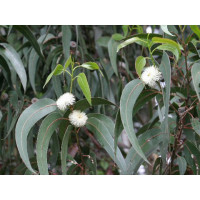 The leathery leaves are.. 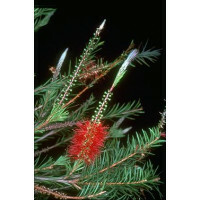 Normally a tree which may reach 15 metres in height in favourable conditions. 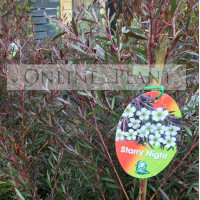 Sometimes it is much l..
Small, bushy shrubs between 0.3 and 1.5 meters in height. 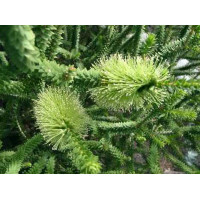 It has small leaves which are comprised of..
A medium sized evergreen tree. 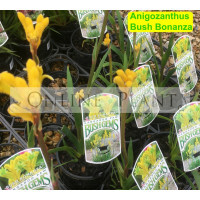 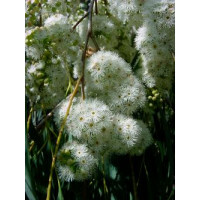 Produces cream coloured flower clusters beggining in Autumn. 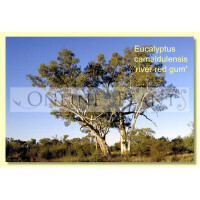 Very har..
A familiar and iconic tree seen along many watercourses right across inland Australia. 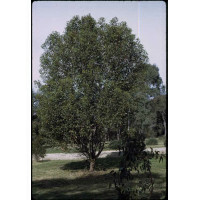 The tree..
A most beautiful medium sized tree featuring leafy drooping branches. 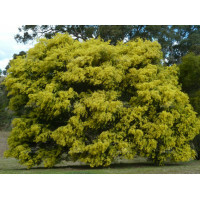 Erect rough barked trunk with ..
Evergreen small/medium tree, multi stemmed shrubby habit, large greenish yellow flowers in Winter, g..
A tall shrub or small tree that may have either a solitary trunk or multiple stems. 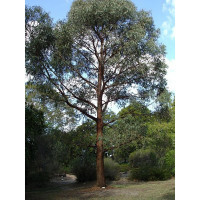 The smooth ..
A widely-variable tree with a native range. 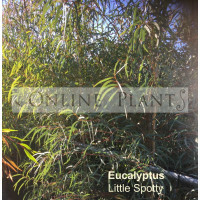 Some can be quite small, up to 10m, while other sel..
Eucalyptus nicholii is a medium to large Australian native tree with fine, strongly scented grey-gre.. 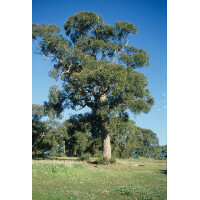 Tall upright tree with a dense canopy. 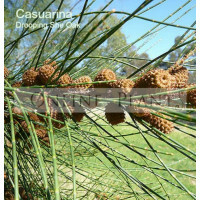 Fibrous stringy bark to smaller branches. 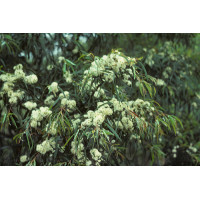 Broad, egg-shaped, ..
A small native tree that exhibits patches of grey, white and a reddish-pink bark in older growth on .. 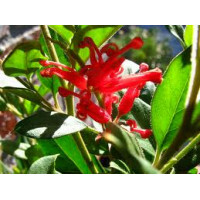 Very popular with urban horticulturists because of its compact crown, dense canopy and excellent for..
Tolerating full sun or part shade this Australian native tolerates most soils. 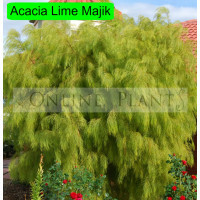 Growing to 8-12m high.. 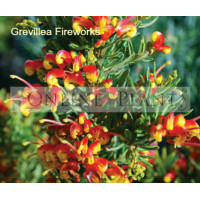 It is a straight erect tree, often around 40 metres tall, with rough bark on the trunk and base of l..
A hardy, compact evergreen shrub (30cm tall x 1m spread) with attractive yellow and brown pea shaped..
﻿Grevillea Hookeriana - Usually a medium shrub which can reach 2.5 metres high by a similar width. 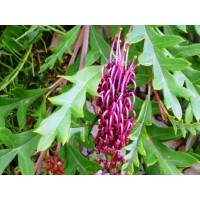 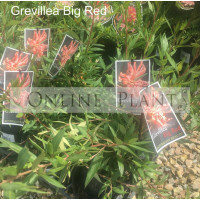 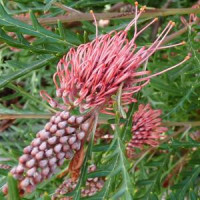 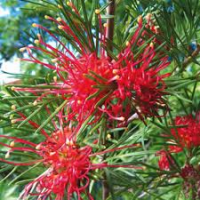 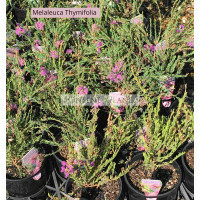 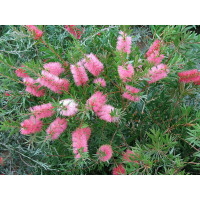 T..
H:2-5m W:3-5m fast growing spreading shrub,large pink to red toothbrush flowers,ideal for screening ..
Grevillea molonglo is currently available from online plants. 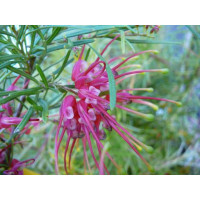 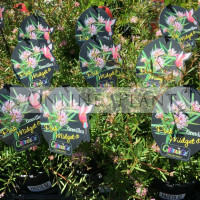 Ground cover 2 metres spread with fine..
Grevillea pink lady is currently available from online plants. 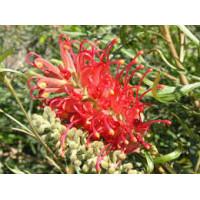 A small spreading shrub, 0.5 metres h..
Grevillea longifolia is currently available from online plants. 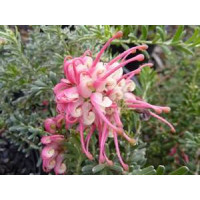 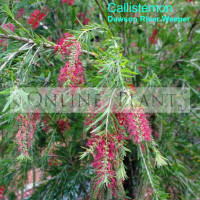 Pinkish-red flowers cover the sweepi..
Grevillea murray valley queen is currently available from onlineplants. 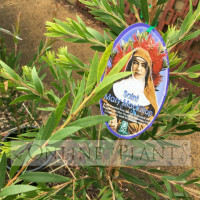 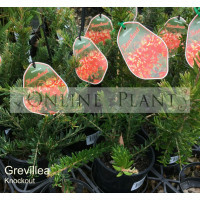 A very ornamental olive gree..
Grevillea Ned Kelly is currently available from onlineplants. 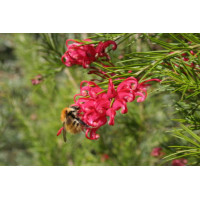 This is a medium shrub up to 2-3..
Grevillea gin gin gem is currently available from online plants. 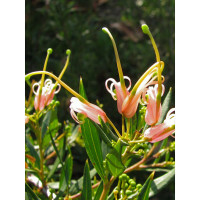 A delightful prostrate shrub with s..
Grevillea olivacea is currently available from online plants. 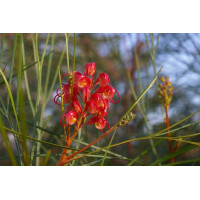 A tall, spreading shrub that may ..
Grevillea pinnaster compact is currently available from onlineplants. 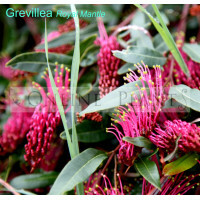 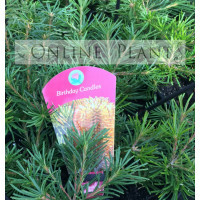 A small evergreen shrub growin..
Grevillea pink pearl is currently available from onlineplants. 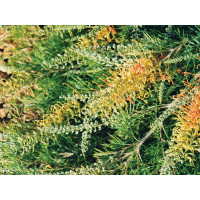 A small shrub, 1-1.5m, with pric..
Grevillea Poorinda Elegance - Leaves are a bright shiny green on upper surface, but covered with den..
Grevillea poorinda peter is currently available from onlineplants. 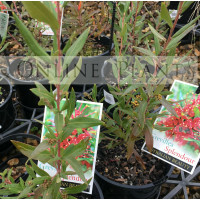 A large spreading shrub grow..
Grevillea winpara gem is currently available from onlineplants. 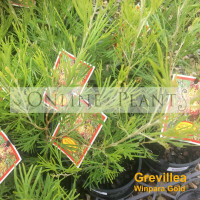 Attractive upright rounded shrub abo..
Grevillea winpara gold is currently available from onlineplants. 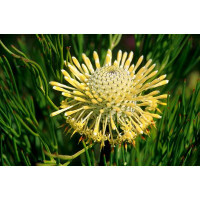 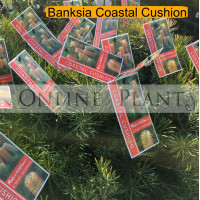 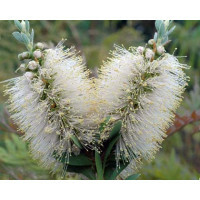 Attractive upright rounded shrub ab..
Hakea Pin cushion is an erect shrub that grows to 6 metres, sometimes reaching small tree proportion.. 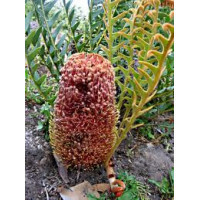 The foliage of this plant is unusual and distinctive. 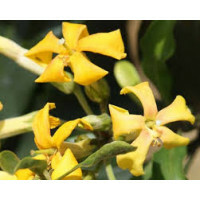 Silver to blue-grey leaves are crowded on the ..
Hymenosporum Flavum – also called as Native Frangipani. 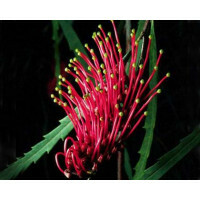 It is a native Australian rainforest tree fo..
A compact evergreen dwarf shurb. 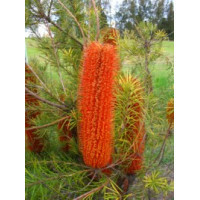 Grows to 65cm by 80cm. 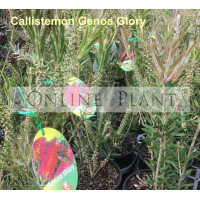 Has rigid green foliage with small golden fl..
A medium to large shrub reaching up to 3 metres in height but it is quite variable. 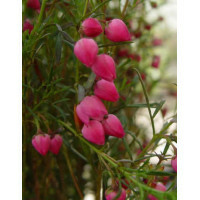 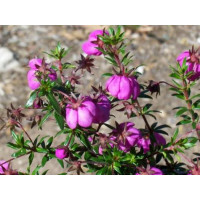 Some forms ..
Usually an erect shrub to about 1.5 - 3 metres in height with grey-green, oblong leaves to about 15 .. 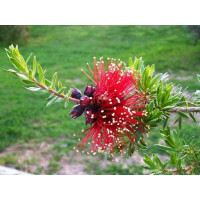 The Kunzea baxteri grows in an erect nature and flowers in Winter to Spring. 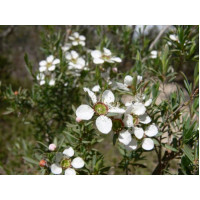 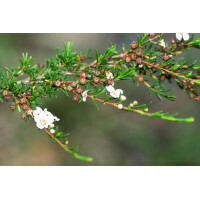 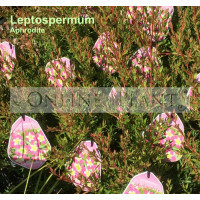 It generally tends to g..
Leptospermum Horizontalis grows from 0.9 to 1.2m tall by 2-3m wide. 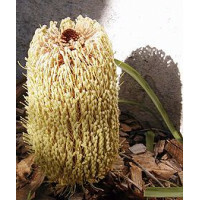 It has a very dense habit. 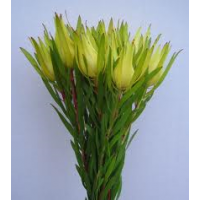 The f.. 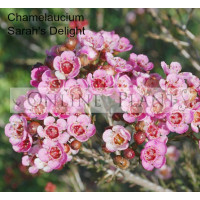 Very variable shrub. 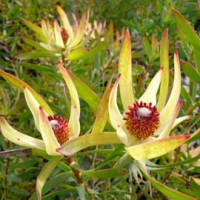 Upright or spreading. 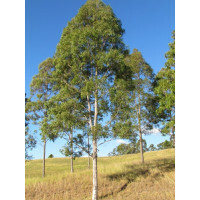 Usually less than 3 m high. 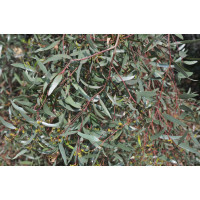 Leaves are pointed, variable ..
Usually a medium shrub to about 3 metres although it can reach up to 18 metres in Tasmania as a tall.. 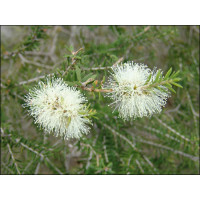 Dense, rounded shrub growing to around 1m high and 1m wide. 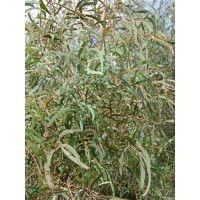 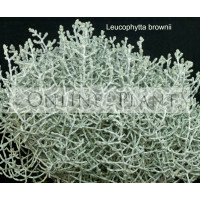 It has silvery grey scale-like leaves an..
A small to medium sized tree growing to 8m in height and 7m in width. 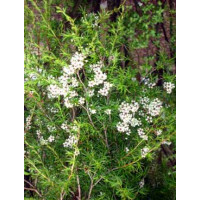 A spreading canopy of narrow, ..
A dense shrub that will reach a height of three metres. 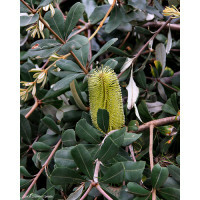 The leaves are spirally arranged, ellip..
A tall shrub or small tree. 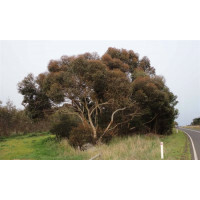 Bark is papery and grey to brown. 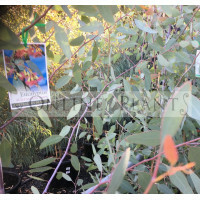 Leaves are small, linear and dark.. 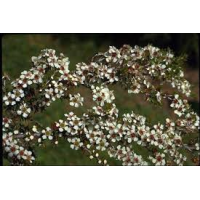 Fast-growing rounded shrub with cream flowers in spring and summer. 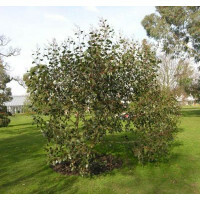 Prune to maintain shape. 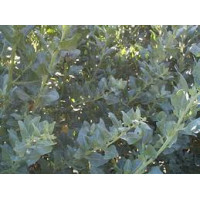 Frost s..
A dense shrub or small tree growing to about 8m. 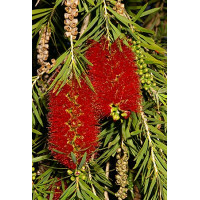 The bark is rough and hard. 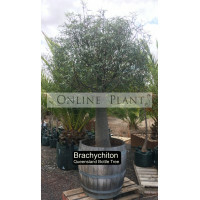 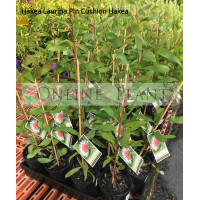 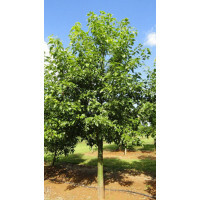 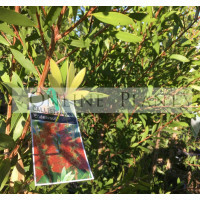 Young branchlets a..
A medium sized wide fully hardy perennial evergreen shrub with yellow flowers in early Summer a..
A tall upright shrub or tree with papery white or light brown bark that peels off in large stri..
A small shrub rarely exceeding 1 metre in height. 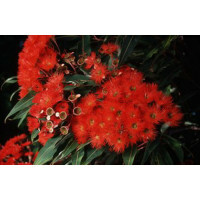 The flowers occur in clusters on the older st..
A low, spreading shrub to about 1.5 metres high by 2 metres across. 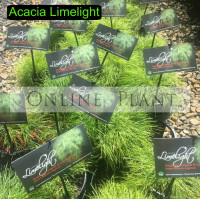 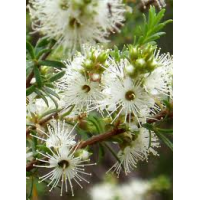 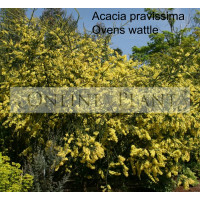 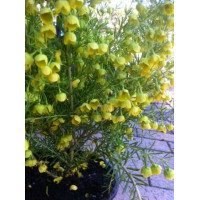 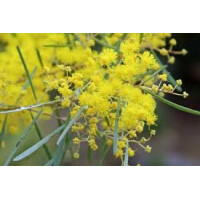 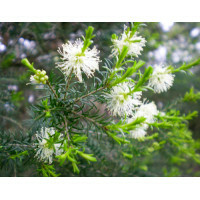 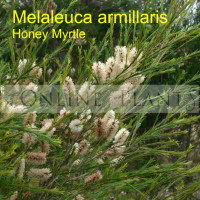 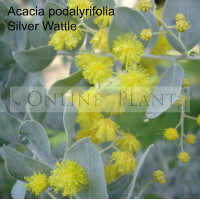 The flowers occur on the older w..
Acacia Lime Majik is a wonderful addition to the garden. 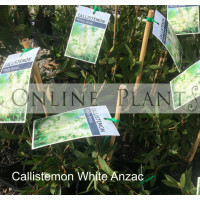 Lime Majik is a spectacular specimen ..
Callistemon 'Mary McKillop' Bottlebrush - A dense weeping shrub with brilliant green new growt..
Eucalyptus caesia Silver Princess is a small eucalypt that can grow to only 5m which makes it ideal ..
‘Little Spotty’: Another fine, dwarf Austraflora selection. 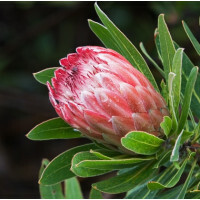 This plant will grow as a fine ball of f.. 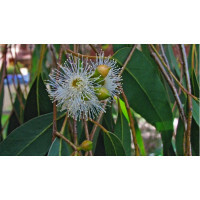 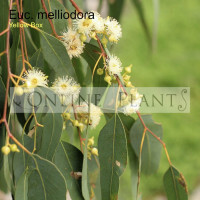 The swamp gum is a small to medium sized tree, rarely a mallee, with bark that sheds over most of th..
A very hardy adaptable winter flowering plant, with silvery green leaves, with silver undersides. 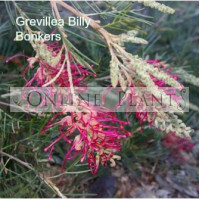 Ve..
Grevillea Billy Bonkers is a hybrid grevillea. 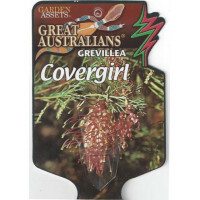 It is a low growing plant with bright green foliage a..
Grevillea Covergirl, Australian native. 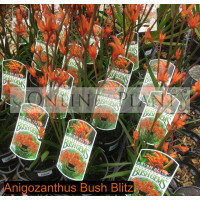 Long flowering and bird attracting. 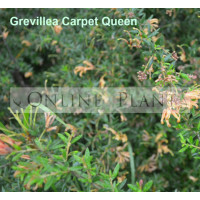 The finely divided folia..
Grevillea Ellendale - Spectacular sprawling ground-cover shrub with soft, finely divided foliage and..
Grevillea Fairy Floss - Small, suckering shrub with very fine leaves and pale mauve spider cluster f..
Grevillea Gold Digger is covered in masses of spectacular coppery-orange brush-like flowers that tur..
Grevillea Gold Rush - Bright clusters of golden yellow flowers with a distinct red style borne throu..
Grevillea jelly baby is currently available from onlineplants. 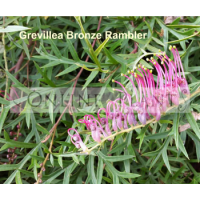 A small evergreen prostrate shrub tha..
Grevillea jubilee is currently available from onlineplants. 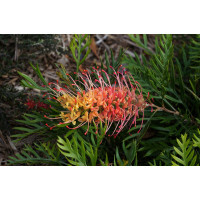 A compact evergreen shrub that produces ..
Grevillea lollypops is currently available from onlineplants. 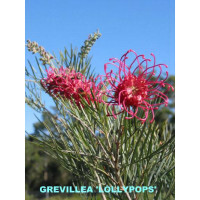 This grevillea has numerous deep pink ..
Grevillea loopy lou is currently available from online plants. 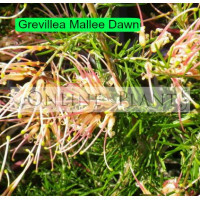 Grevillea Loopy Lou is a small shrub ..
Evergreen Native Shrub Grevillea Mallee Dawn flowers in spring and autumn with soft apricot flowers ..
Grevillea new vintage is currently available from online plants. 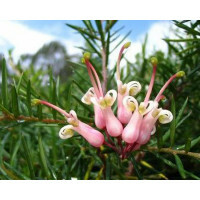 A small prostrate evergreen sh..
Grevillea peaches and cream is currently available from online plants. 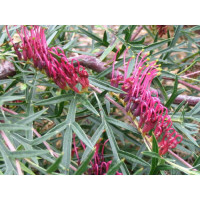 It is a shrub that grows to 1..
Grevillea pink midget is a low spreading dense plant with long narrow lanceolate shaped leaves about..
Grevillea red hooks is currently available from onlineplants. 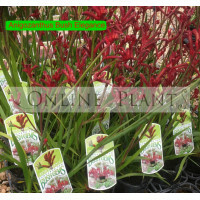 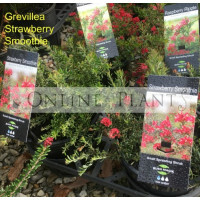 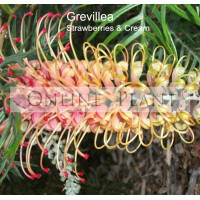 Grevillea Red Hooks A usefu..
Grevillea strawberrys and cream is currently available from online plants. 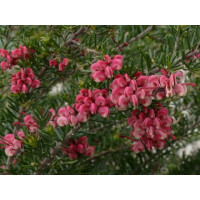 A spectacular small tree ..
Large attractive creamy pink flowers borne in Winter and Spring. 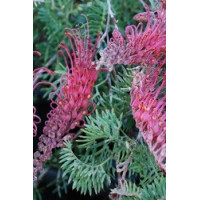 A compact growing Grevillea which i..
Grevillea Inferno is a small to medium shrub and available from onlineplants it grows to about 1.5-2..
A fantastic hybrid growing to 3m with burgundy leaves and white star flowers occuring in Spring..
Online Plants leading plant nursery based in Melbourne sell more than 10000 species of plants .. 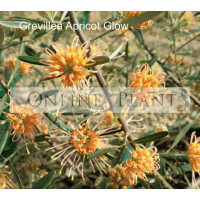 This spectacular, evergreen shrub produces a long display of brilliant orange centred florets. 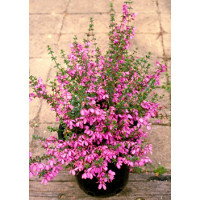 Flowe..
Royal Ruby is grown for its attractive coloured foliage which reaches a peak in Winter and the centr.. 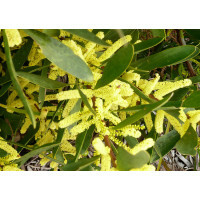 Masses of bright yellow blooms in spring. 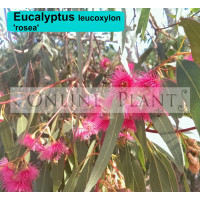 Suitable for cut flowers, it can be grown in pots and co..
Eucalyptus leucoxylon is a medium-sized tree which reaches 10-30 metres in height. 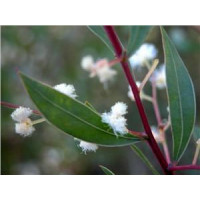 The bark is retai..
A large shrub with grey woolly foliage and weeping habit. 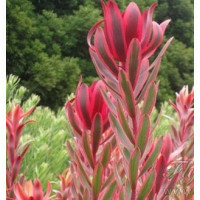 Pink new growth. 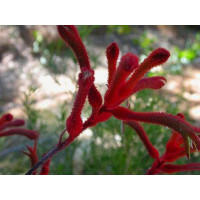 Red brushes in spring and.. 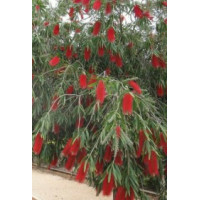 The Queensland Bottle Tree is a spectacular architectural plant, can be used in many landscape desig..
A hardy, upright, dwarf native shrub which features vibrant, green fine foliage and eye-catching ora..
Best grown in well drained soil and sunny position. 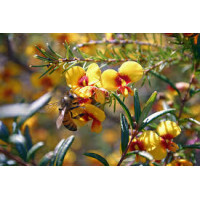 Vibrant flowers make a wonderful addition to a w..
An upright somewhat open small shrub. 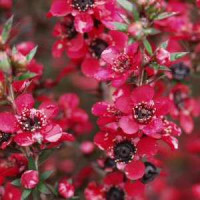 The distinctive feature is the way the flower colour changes f..
Bush Elegance has a naturally well-branched habit and can produce up to ten large, deep burgundy flo..
Bush Ballad produces dozens of flowering branches, displaying a profusion of bright red flowers thro..
Austromyrtus Blushing Beauty is a fast growing evergreen bushy shrub. 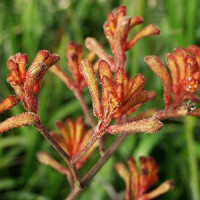 New growth of plant can offer ..
Grevillea Knockout - Bright red and yellow flowers from autumn through spring. 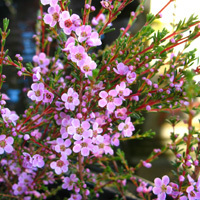 Soft blue green..
Leptospermum 'Aphrodite' is a gorgeous flowering shrub to two and a half metres tall and wide. 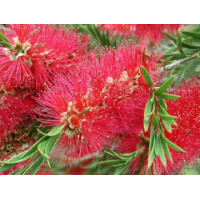 It ha.. 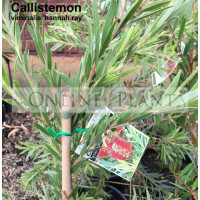 Attractive blue-green foliage with new growth in subdued red shades. 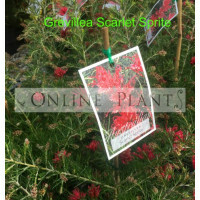 Flowers over a long period in s..
Callistemon ‘Great Balls of Fire’ is a striking medium sized shrub that is becoming a main..
Grevillea superb is currently available from onlineplants. 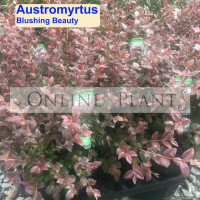 A Superb small shrub with attr..